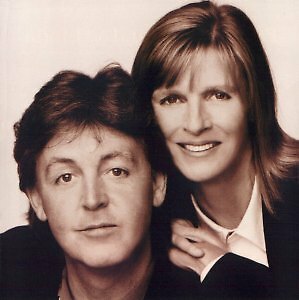 I never really cared much for Linda McCartney. That’s a mean thing to say, isn’t it? Bear with me. I didn’t know her, but I think a lot of teenyboppers felt the same way when she stole the heart of Beatle Paul McCartney. She seemed so aloof, haughty and proud of herself, but in hindsight, who wouldn’t be? 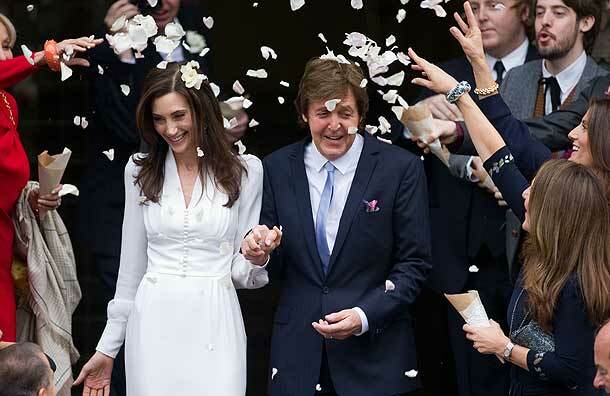 She married the cutest Beatle whom everyone was crazy about and took him off the market (as if we ever had a chance…). And she was always with Paul, lurking in the background, even in interviews, and it was like, can you please go away and let Paul talk? He’s the one we want to hear from, not you! And supposedly she always seemed to be causing trouble with the Beatles. She and Yoko were eventually blamed with breaking the group up, which happened only a year after she and Paul had wed. She just was never well received by the public. But the thing is, they didn’t seem to care. Paul loved Linda and Linda loved Paul and that was all they needed. It was as simple as that. They were devoted to each other, had a wonderful marriage for 29 years and raised a beautiful family. At the end of her life when she suffered through cancer treatments, he was always by her side – steadfast in his devotion to her. Her family surrounded her. When she died in 1998 Paul dropped out for a while, mourning her passing. It was a very sad time for him, and for the first time I began to think that maybe Linda and Paul had gotten it right. Maybe she wasn’t so bad. I mean, look how much he loved her. And as the Beatles had written years before, all you need is love. They didn’t care what people thought. They just held onto each other in the name of love, and the hec with everyone else. Isn’t that what love should be about when you boil everything else down? You can be rich and be miserable. You can be poor and be miserable. You can be famous and be miserable. Out of work and be miserable. Successful and be miserable. But throw in the equation of love, and happiness rings through all the challenges. After Linda’s death, Paul could have lived out his life alone, knowing he had experienced the one pure, true love of his life. He could have left it at that. 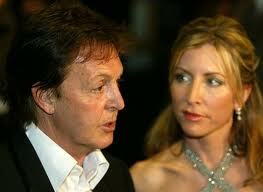 But he gave it another chance with Heather Mills in 2002. It was a stormy relationship, nothing like his marriage to Linda. The tabloids focused on the nastiness of the divorce and settlement in 2008. Maybe Paul would now give up on love. But no, he threw caution to the wind yet again by marrying Nancy Shevell in May of 2011. So you go, Paul, you hopeless romantic, you! You never give up on the possibility of love and demonstrate for all of us that neither should we. Because in your own words – all you need is love, right? And love is all you need.